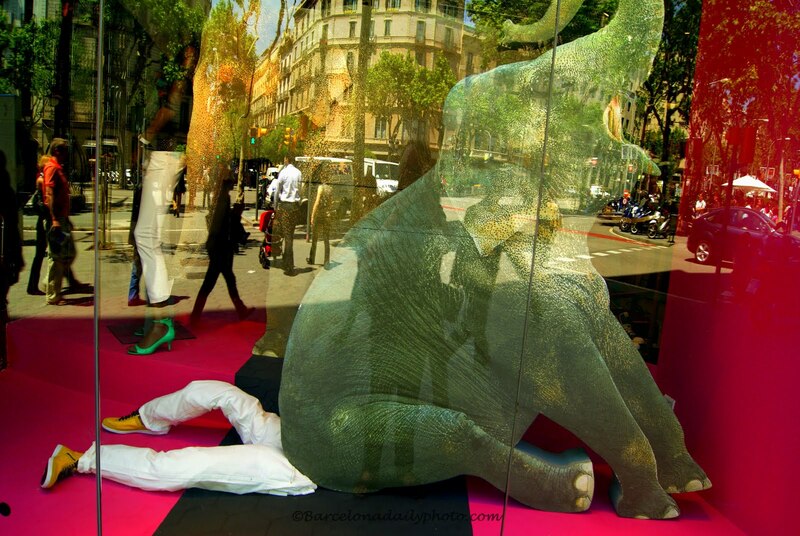 Some funny publicity in a clothes shop on Passeig de Gracia. To see more b&w, click here, and here for more reflections. 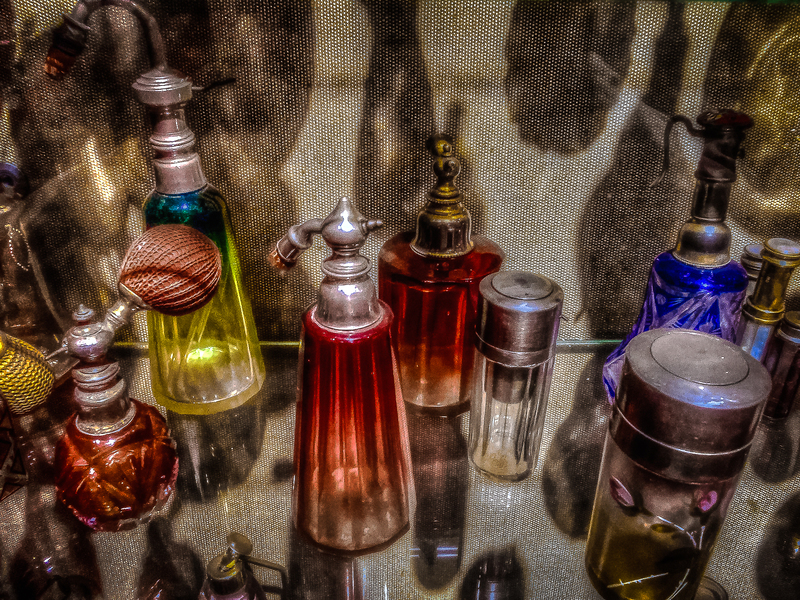 The perfume museum. Hmm, only for the ladies? I don’t think so! 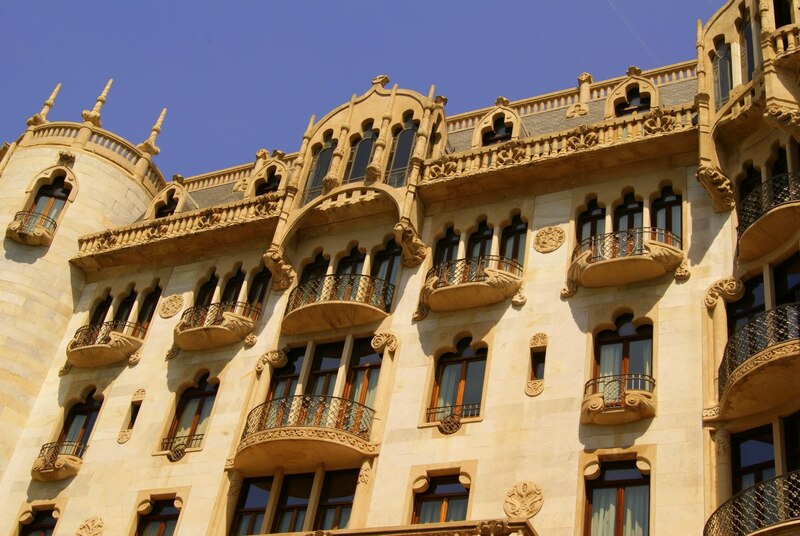 Barcelona’s Champs Elysees is the Passeig de Gracia, with it’s many many noble mansions. Wouldn’t you want this house on your Christmas wishlist??? AND A VERY HAPPY ST PATRICK’S DAY TO EVERYONE!!! 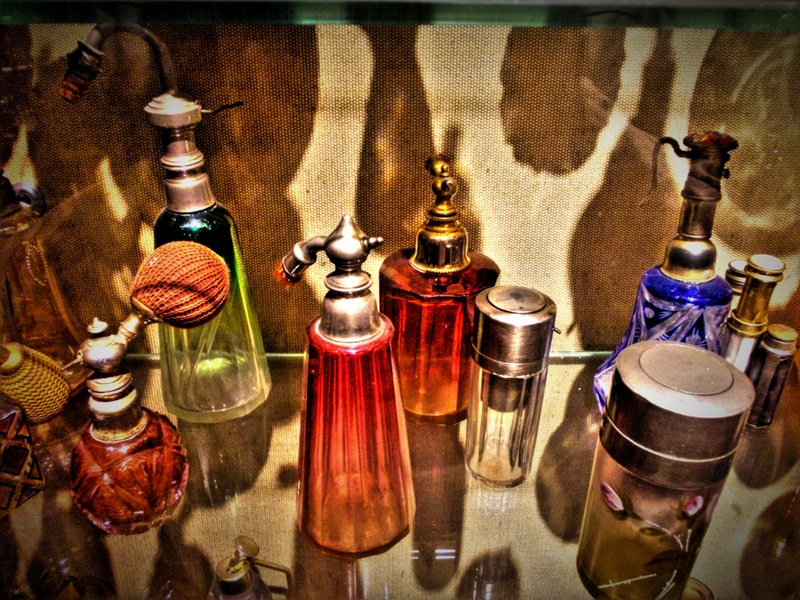 Among the 100 or so museums in Barcelona, there is also a perfume museum, which Mandy visited some time ago. 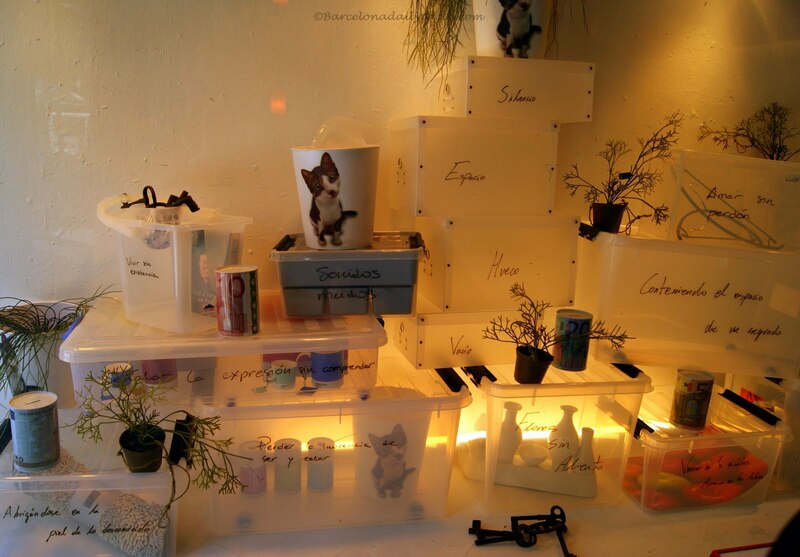 Situated in the back of a … perfume shop on Passeig de Gracia, it must smell quite heavenly. Photo courtesy of Mandy, of course. 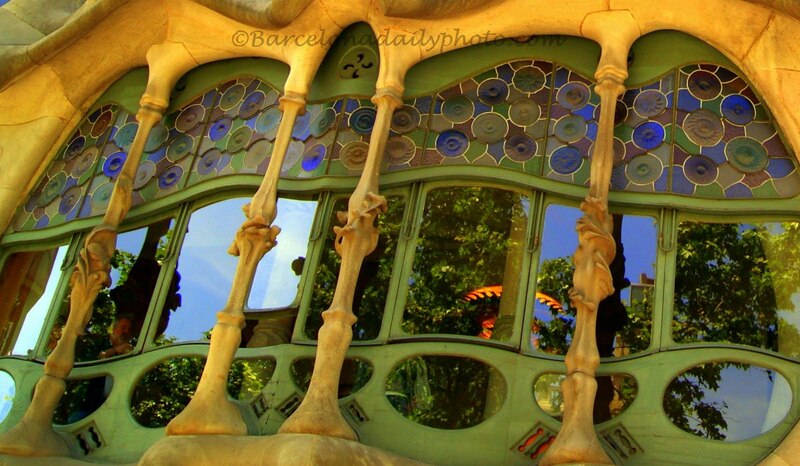 Gaudi’s genius. Beauty that goes well into details. 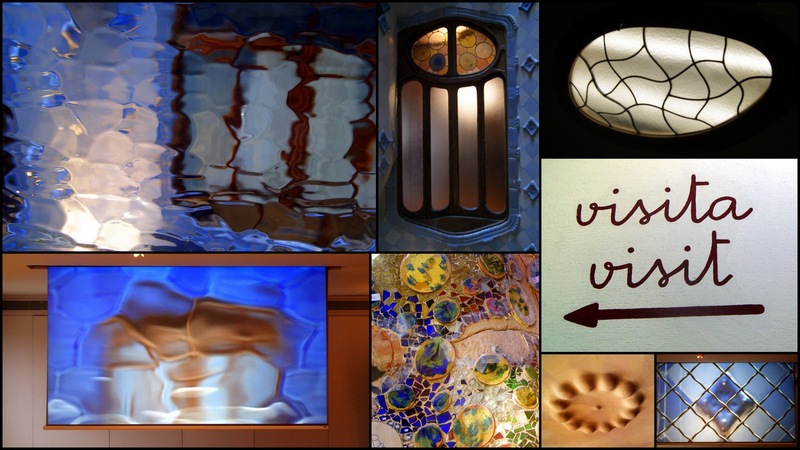 Here are some from Casa Batllo, on Passeig de Gracia. 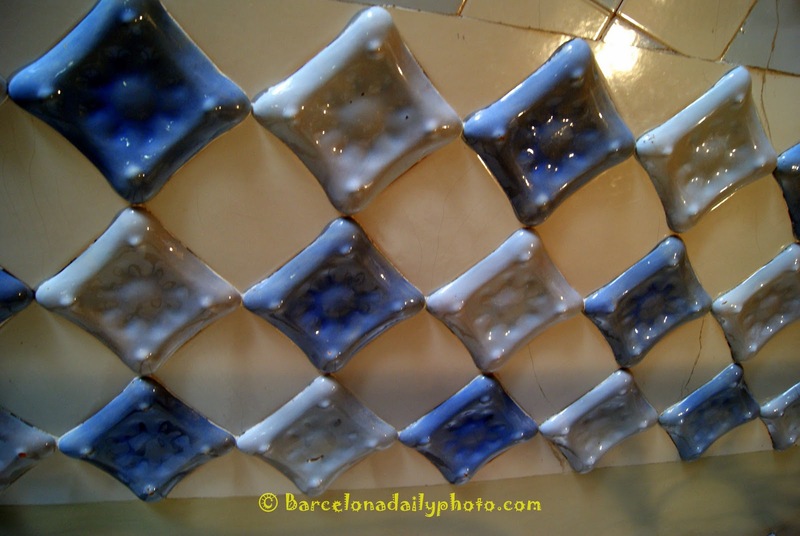 A few more details of Gaudi’s Casa Batllo, aka the bone house. 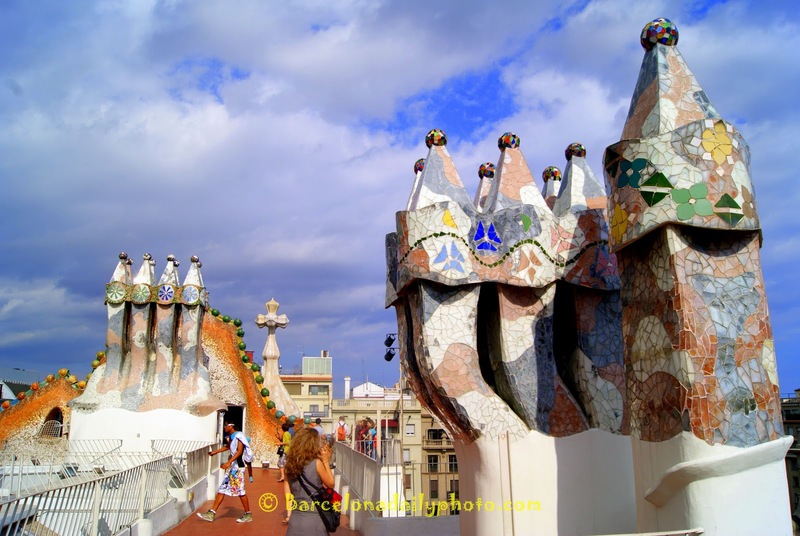 It is one of Barcelona’s main tourist attraction. 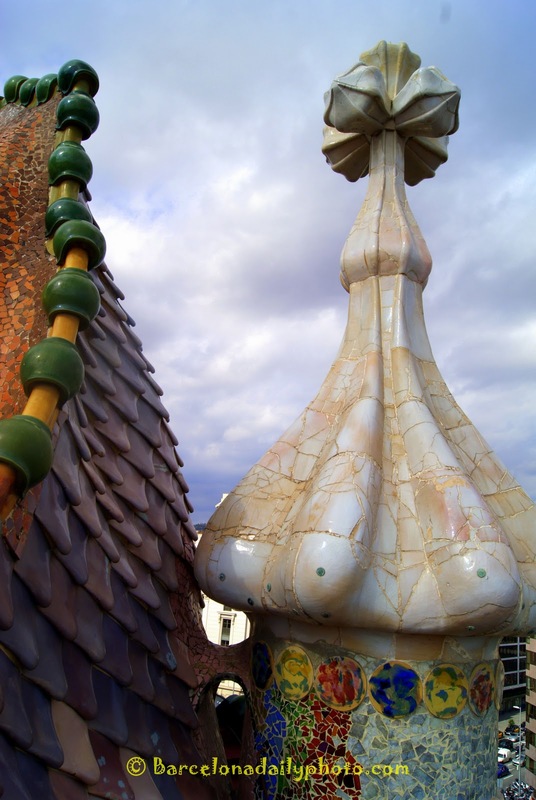 To see more of Gaudi’s magnificent works, just click on the Gaudi label below. I still don’t have much time to browse your blogs, but, as I am finally going back to work tomorrow, after 100 days of convalescence, I should, strangely enough, have more time. 2 new blogs coming up soon!!! 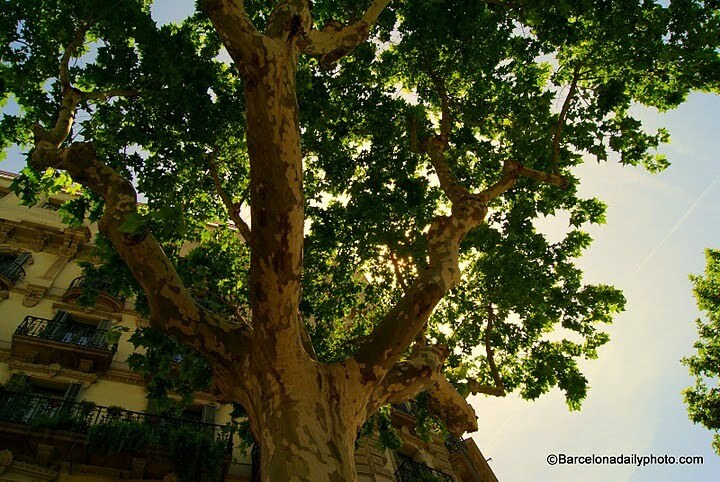 A tree on the Passeig, providing precious shade during those very hot days. Some guy called Hugo’s place on Passeig de Gracia. I heard he’s quite a fancy dresser. This is for Weekend Reflections nr 37. 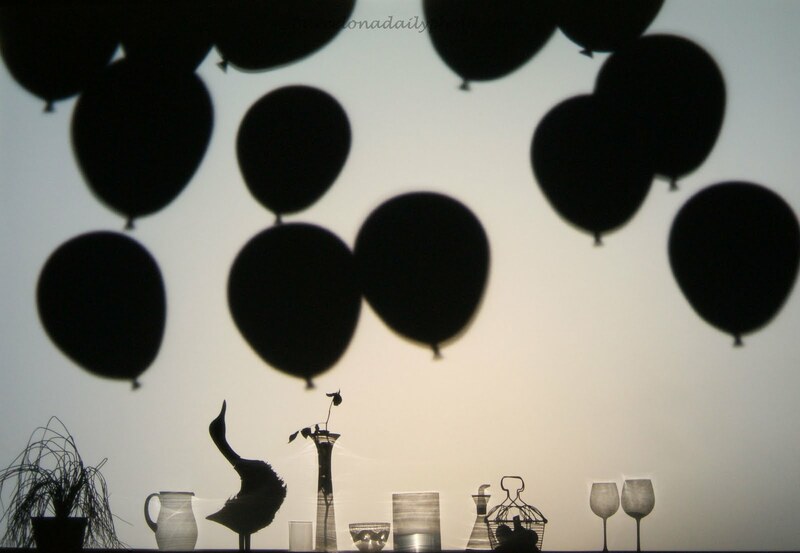 Please visit James‘s blog to see other participant’s photos and reflections. After yesterday’s stone bridge built by Antonio Gaudi, let us remain with this great man a while longer. 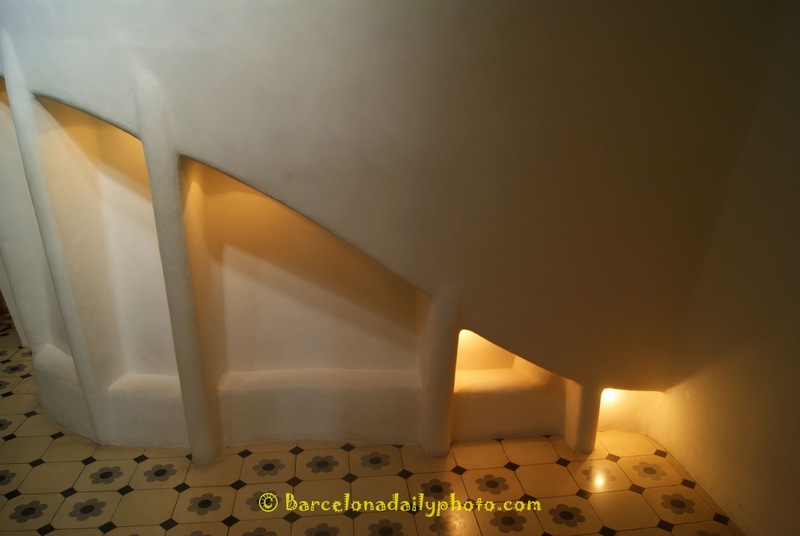 One of his absolute masterpieces was the Casa Mila, better known as ‘la Pedrera’ the stone quarry. 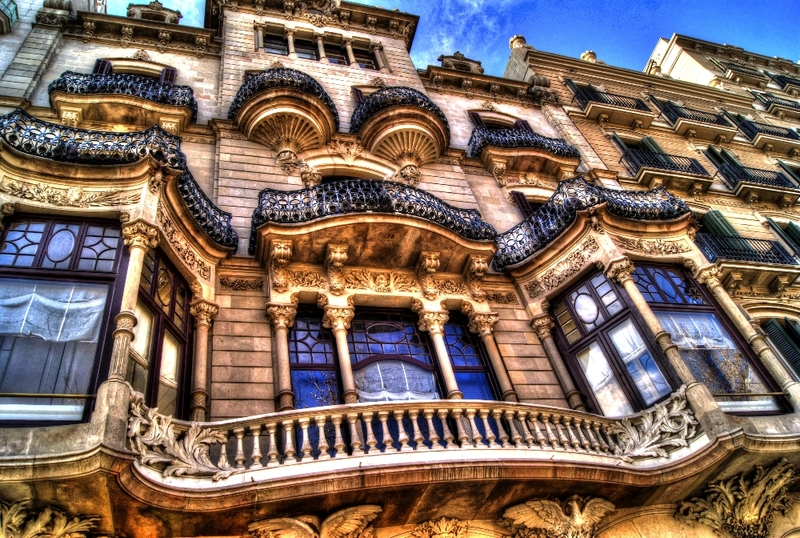 Owned by a bank, it used to be Rosario Segimon and Pere Milà’s home. A rather magnificent home. 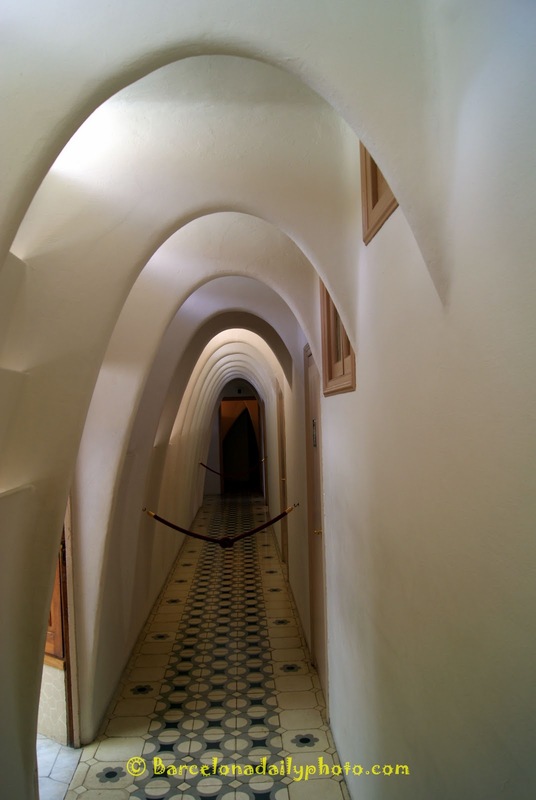 Built for them by Gaudi from 1905 till 1912. It is now a UNESCO World Heritage Site. 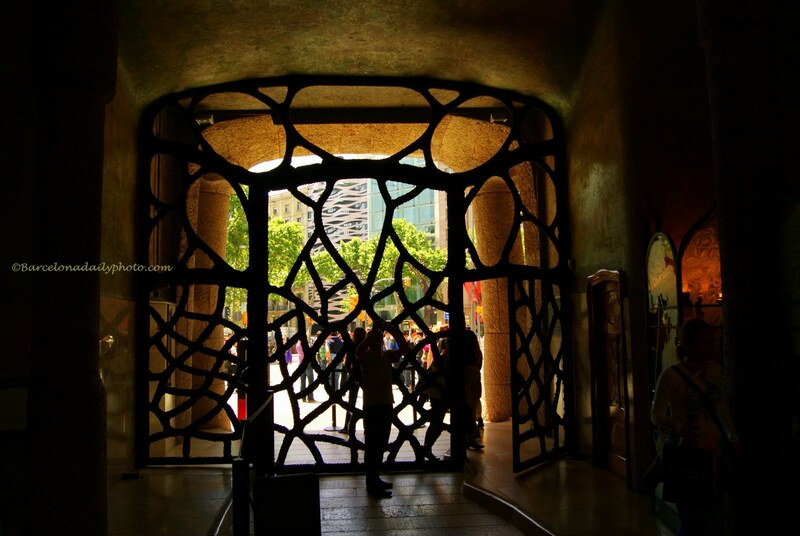 Open to visits (10 euros, which is cheap for Barcelona), it also hosts a museum and modernism shop, and an exhibition center which is usually free of charge. We saw a very nice Maillol exhibition there last winter. On the photo, you can see one of the somptuous gates. Want to know more? Here is what Wiki says to it. Nature, reflected in the windows of this most beautiful and most organic looking building. To see more weekend reflections, just click here. 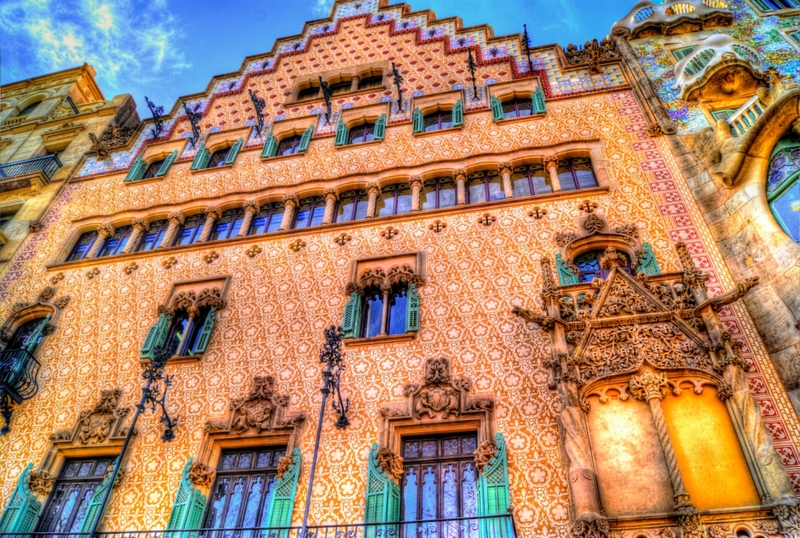 La Casa Fuster. 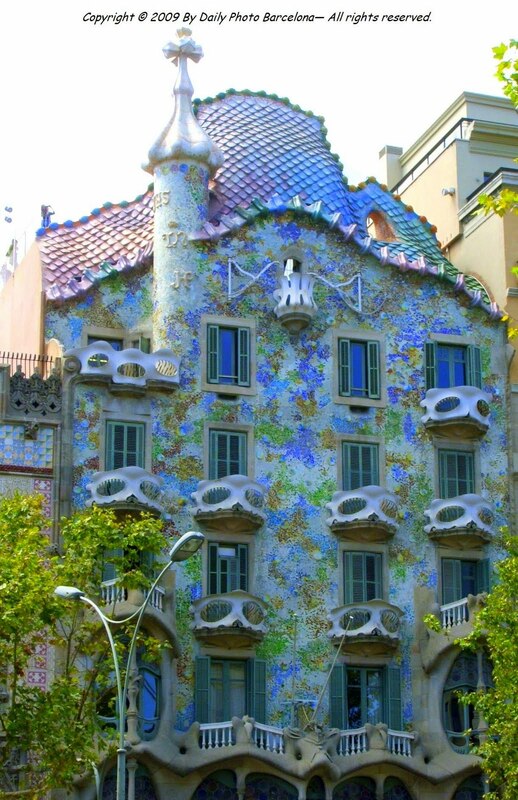 Should you be looking for a better place to stay on a romantic holiday in Barcelona, I suppose this is the place! It is one of the best examples of modernism. 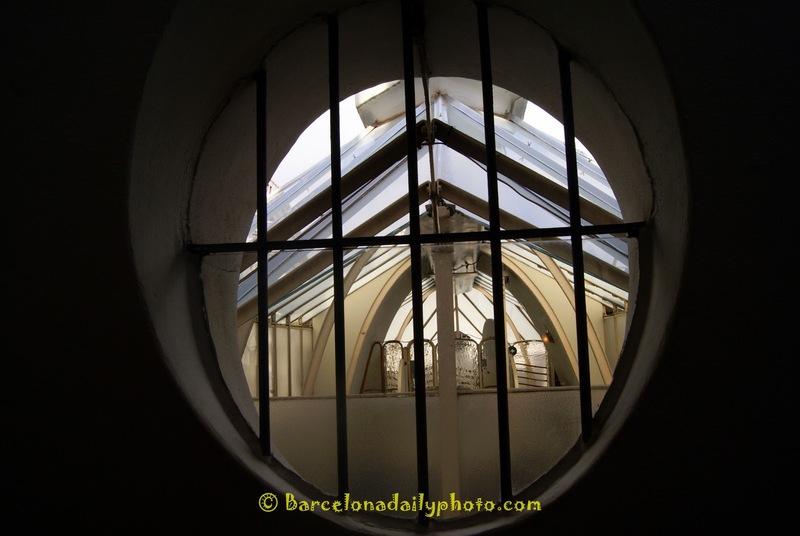 Built in 1908 by Gaudi’s contemporary Lluis Domenech i Montaner, it was a gift from the Señor Fuster to his wife, with the underlying intention to make the city of Barcelona more beautiful. Nice guy! 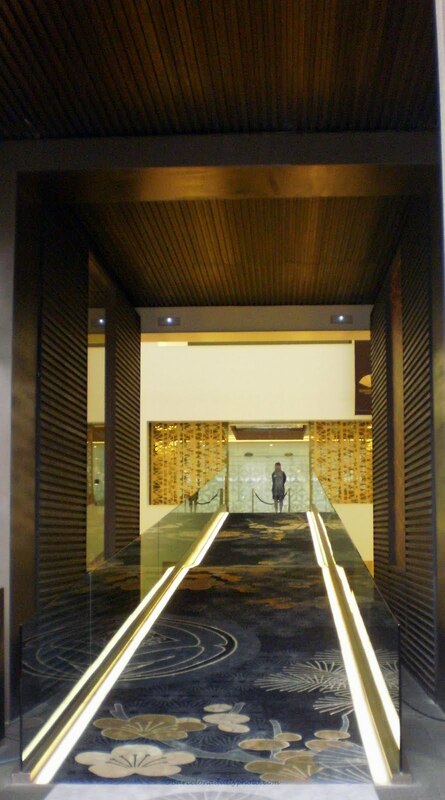 Now, for the last 10 years, it has been a hotel. Click here for more info. Emotions. Mute dreams. Emptyness. Space. The space of a second. Loving without forgiveness. To lose the innocence of being. You might remember the doggy watering can a few days back. 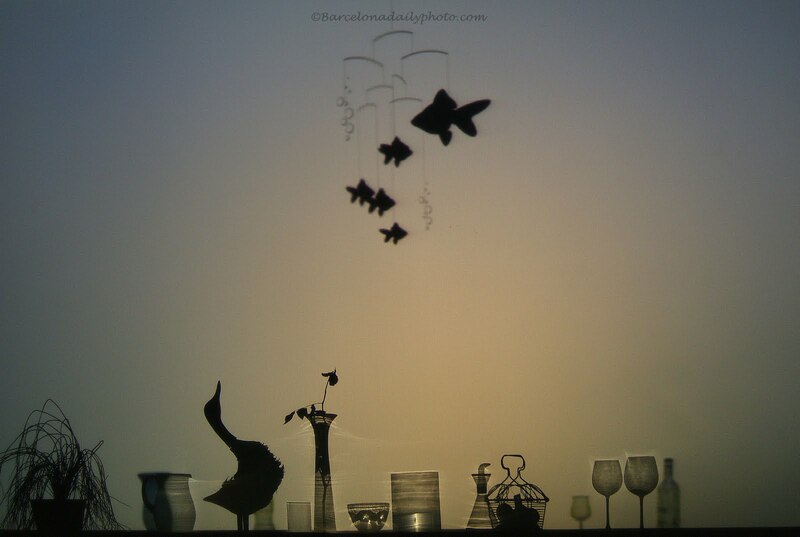 In the same shop on Passeig de Gracia, they had this excellent and quite surreal shadow play as part of the decoration. Coming up in Brattleboro, Vermont! Do you like dogs? Do you like gardening? Do you like starting a trend??? 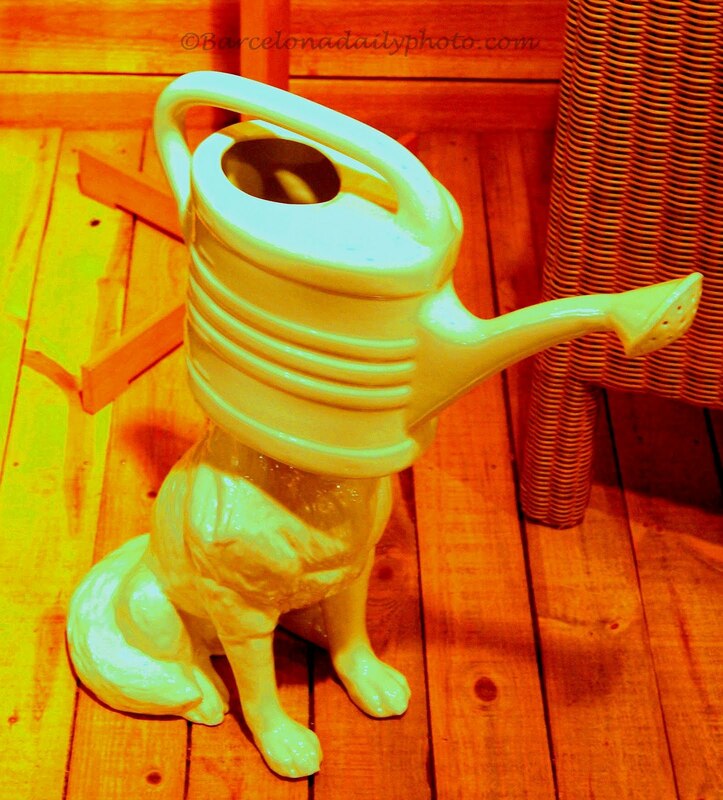 Then, I’m asking you, Mrs and Mr B., why not combine all 3 in this avant garde doggy watering can? Take your can for a walkie, ask your dog to water the most beautiful garden in (this part of) the US of A, start the Vermont doggy watering can trend! Be a star. 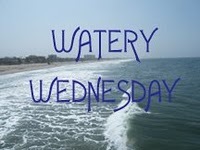 This doggie having something to do with water (…), this post is therefore obviously part of Watery Wednesday! Please click here to see more pictures being more obviously related to the theme: water. And really: do not ask your (real) dog to water your garden. I mean it. 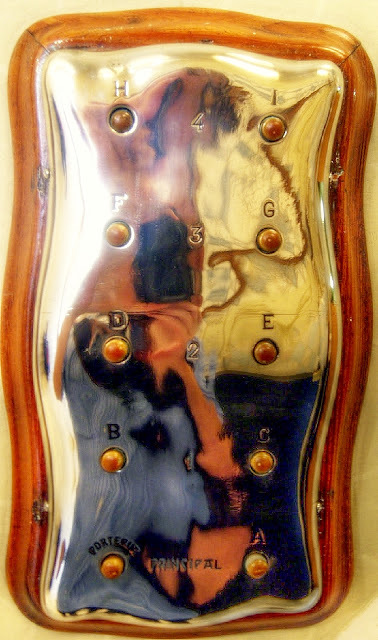 Late PPS (post-post scriptum): I really liked doing this special Brattleboro post! So, I just decided that there would be another one tomorrow! Yeah, towards the west coast of the US, a monsieur with a special interest in vaches. Honni soit qui mal y pense, as the anglais would say. 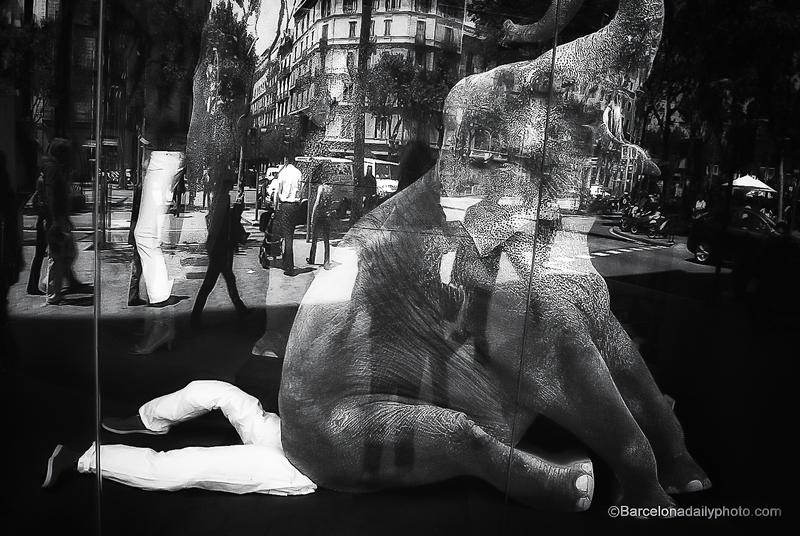 Welcome back to Passeig de Gracia, the street full of weird and wonderful buildings. 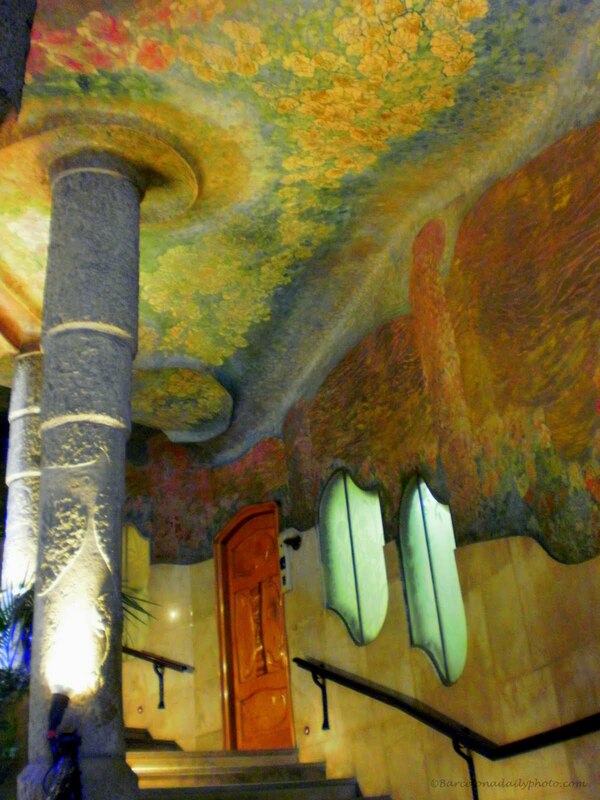 This is Casa Amatller. 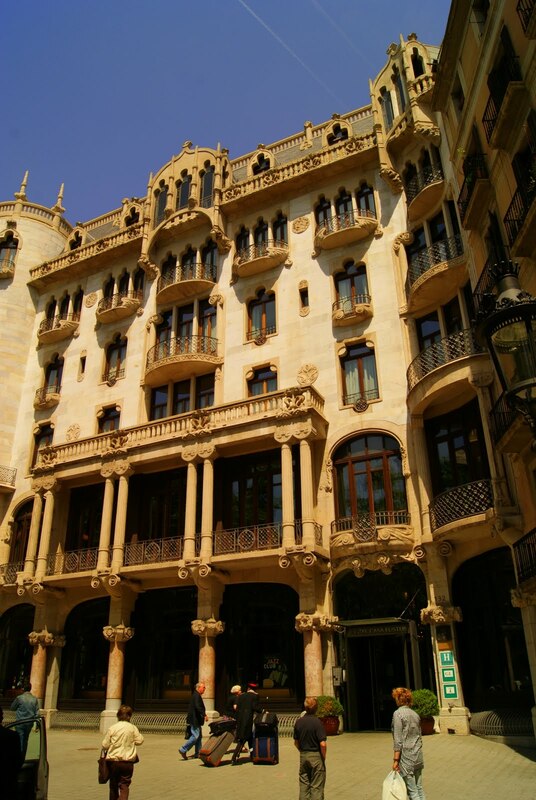 Built between 1898 and 1900 by architect Josep Puig i Cadafalch, for the chocolate king Antoni Amatller, and inspired by 17th century dutch townhouses. 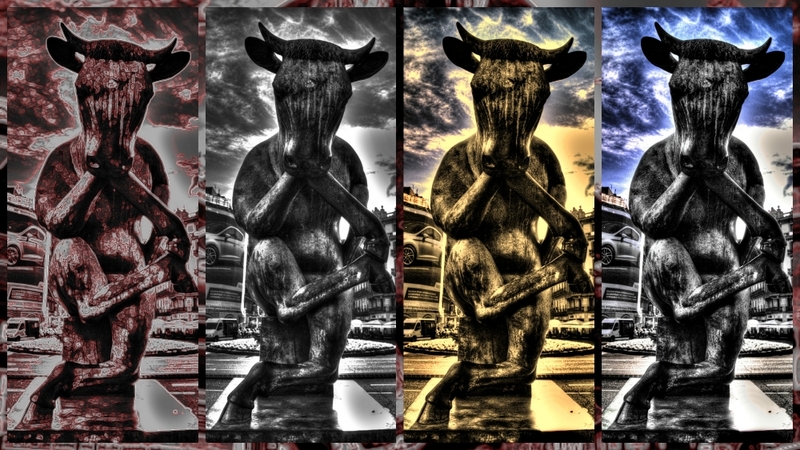 The sculptures are by Eusebi Arnau. Another fine example of modernism. Very very touristic, of course, very long queues to actually visit the building. Haven’t had the time yet to do it, but I will, asap. And I’ll take some pictures, promised! This is not a wedding cake! No, it isn’t, believe it or not! 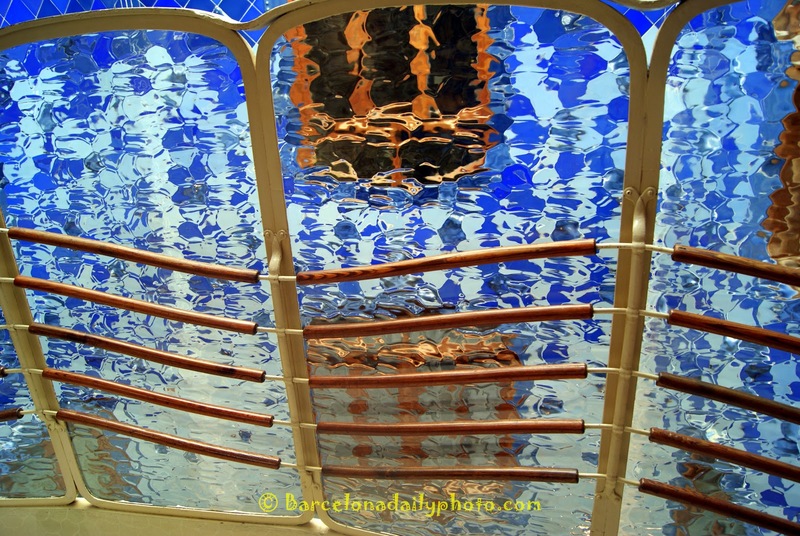 This is the Casa Batlló, built for a middle-class family (! 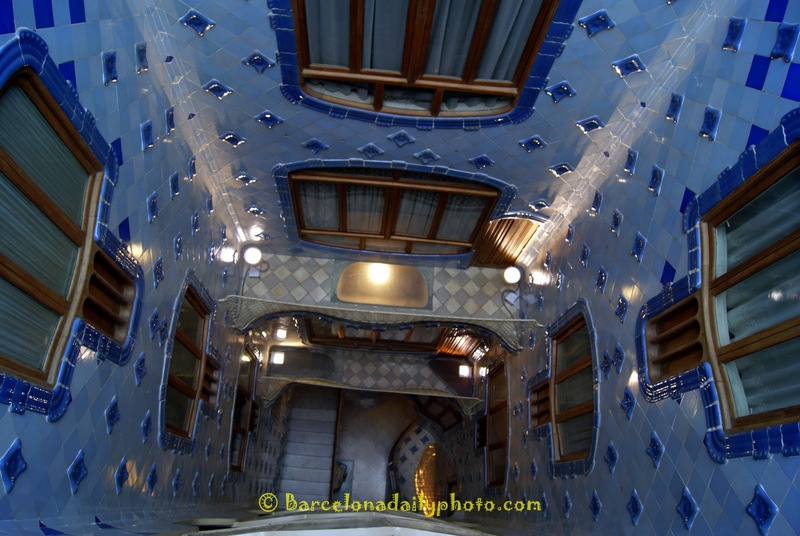 ), and remodeled by Gaudi. Not a lot of straight lines in there, very organic! Locals call it the bone house. 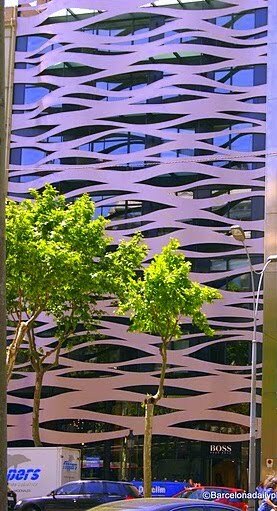 The building itself is situated in Passeig de Gracia, Barcelona’s Champs Elysées, and is an absolute tourist magnet, as you can imagine! For myself, I just love it! 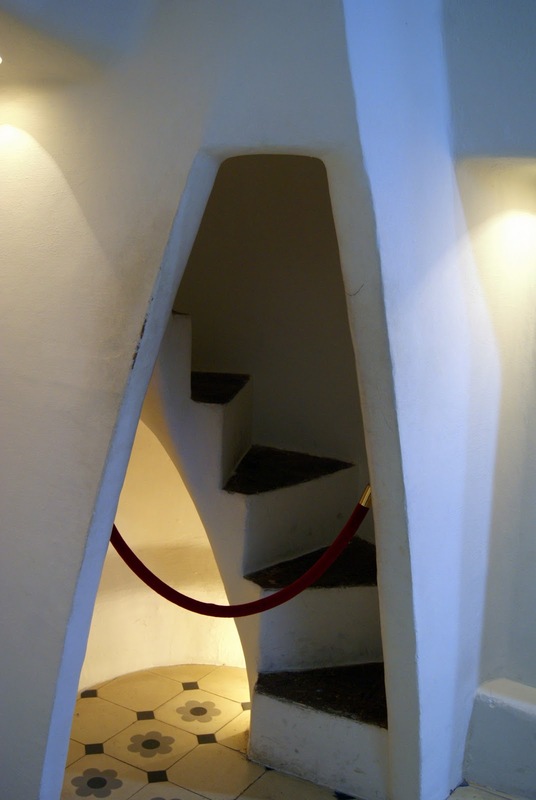 Then you wonder where Hundertwasser got his ideas from! Want to know more about it? No problem, just click here! Wiki will help! The Casa next door is about as crazy. More about it… later, in another post.